The City Of Seattle Is Weaponized! Oliver and Black Canary continue their battle against the villainous Vertigo, who has used his powers to trap the heroes in a world where the city they love has been turned against them at every turn! Trapped inside Count Vertigo’s psychotic maze, Green Arrow, Black Canary and Indigo Riot have no escape and no way to give the man what he wants - Roy Harper! Stricken with grief over the death of his friend, will Oliver Queen be able to push his feelings of sadness aside and be able to save the city by revealing the sad truth behind Roy Harper's fate? And just wait until you reach one of the most shocking endings in Green Arrow history, it'll make your jaw drop! 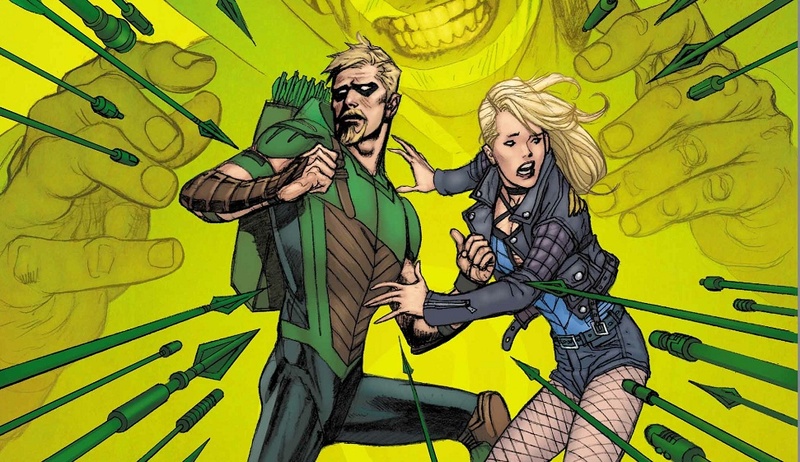 Jackson Lanzing and Collin Kelly are continuing to knock their Green Arrow run out of the park, bringing fans an emotionally charged and shocking story that's sure to leave fans wanting more! This is Green Arrow the way he was meant to be seen, and we're extremely eager to see what's coming next! Rating: 4/5 - "Jackson Lanzing and Collin Kelly continue to hit their mark!" 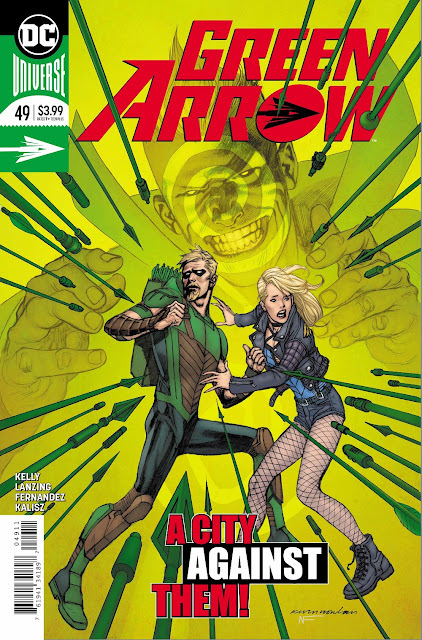 Green Arrow #49 is available today.